Adobe® Flash® Player27 is the high-performance, lightweight, highly expressive client runtime that delivers powerful and consistent user experiences across major operating systems, browsers, mobile phones, and devices.Adobe® (formerly Macromedia) Flash Player - the universal rich client for delivering effective Adobe Flash experiences across desktops and devices. Lets you view the best ********* and entertainment on the Web. It displays Web application front-ends, high-impact Web site user interfaces, interactive online advertising, and short-form to long-form *********Adobe's Flash Player allows you to view interactive web content like games, business presentations, advertisements. The package includes only the Flash Player and is a stand alone installation. Technically, this is a Flash Player ActiveX Control. It will only play the file through your Web browserInstalled on over 700 million Internet-connected desktops and mobile devices, Flash Player enables organizations and individuals to build and deliver great digital experiences to their end users. 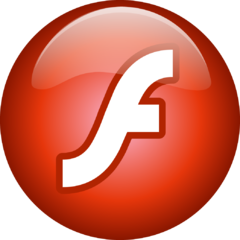 Flash is the world's most pervasive software platform, reaching 97% of Internet-enabled desktops worldwide, as well as many popular devices. Since it is free of the design restrictions of more traditional Web display options, you can use it to clearly and exactly express your brand and company identity.